← Struggling with FOMO? Buy Tickets to Great Meadow International! 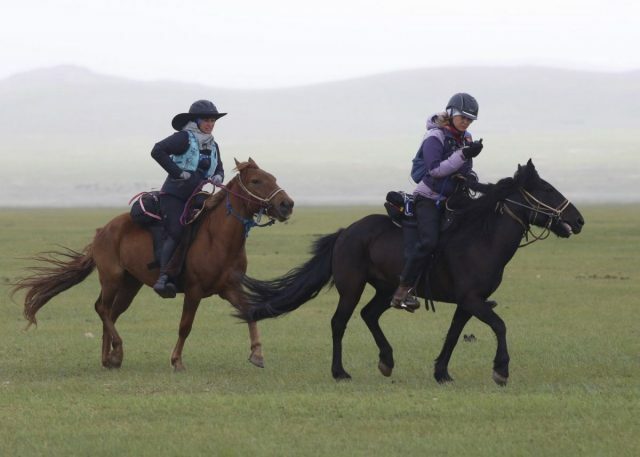 Leslie Wylie and Pixie Pumphrey setting off into the icy monsoon race organizers described as an “BIBLICAL.” Photo by Julian Herbert/Mongol Derby. Coupled with the sub-zero windchill (one of the horse stations actually blew over, sending over 40 ponies skittering off into the hills), the monsoon was a recipe for hypothermia, which ended up taking sidelining several riders and taking one American out of the race completely. If I hadn’t had top-of-the-line rain gear, I would have been toast. Soggy toast. Toast that got tossed into a pond and floated around for so long that even the ducks were too grossed out to eat it. Thankfully I was kitted out in a jacket from Horseware’s HWH2O Collection. 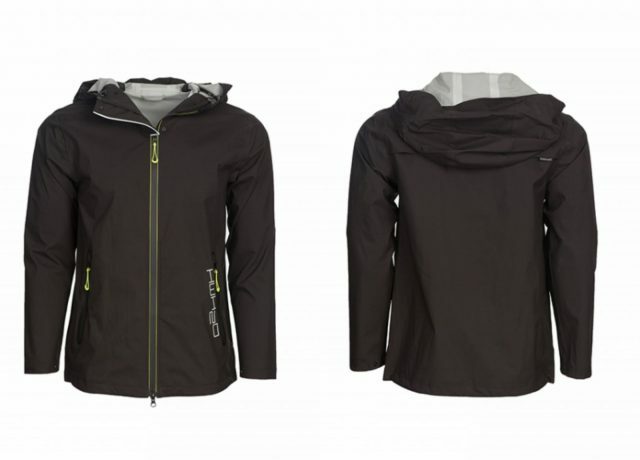 Created from waterproof, windproof and breathable fabric complete with taped seams, with the HWH20 Jacket I could ride into the storm with confidence that if I died (not out of the question!) at least it wasn’t going to be because of the weather. HWH20 Jacket. Image courtesy of Horseware. The HWH20 Jacket, on the other hand, is lightweight yet has enough structure so it won’t be billowing about, critical whether you’re straddling some bug-eyed, fire-breathing descendant of a Mongol war horse or you’re taking a rainy-day jump lesson on a scary-fit event horse. 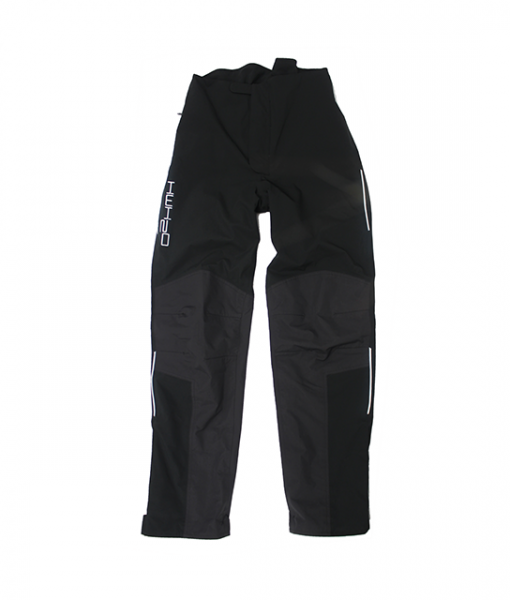 The fabric, a breathable stretch woven polyester, is silky soft and not restrictive or rubbery feeling at all. Even on the stretches when it got warm, I never felt like I was getting sweaty or suffocating in there. When it was cold, the jacket’s cut was generous enough to allow for layers yet still form fitting. I don’t care if you’re in Wellington or lost on the steppe, nobody wants to look like they’re riding around in a garbage bag! The reflective silvery accents were a nice touch. If I’m going to die, I at least want to look fresh-to-death doing it. Packability was a major perk as well. The jacket squished down into its own pocket, so it took up minimal space in my saddle bag. Of course, ultimately, even the best rain jacket in the land could not save me from myself. HWH20 Poncho. Image courtesy of Horseware. 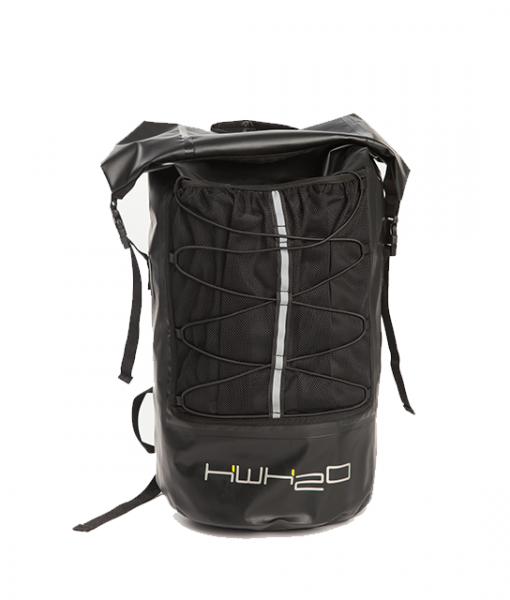 The HWH20 Poncho offers full-body rain protection. 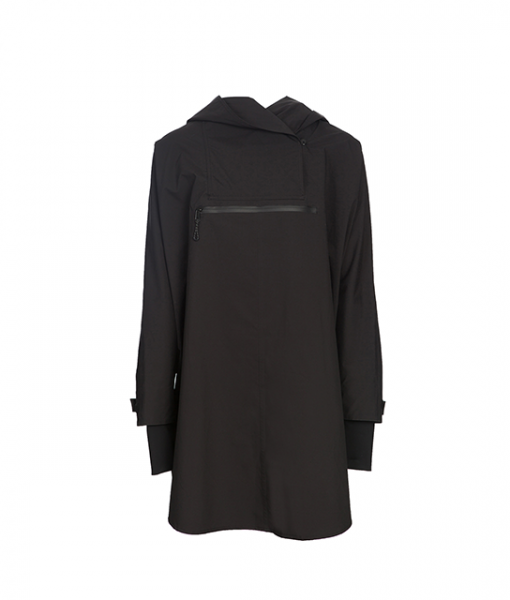 It drapes down to just above the knee, so paired with some wellies or waterproof boots you’re good to go anywhere the sun don’t shine. This poncho is as at home at the barn as it is out in “the real world.” I don’t know if it’s the elegant drape or what, but walking down the street in this makes me feel like the heroine of a French spy movie. The oversized front pocket is perfect for stashing stuff you don’t want to get wet — wallet, phone, check for the farrier, adorable baby marsupial … hey, I don’t know your life! It also packs down into its own pocket, trés handy. Also available in a pretty grey. HWH20 Pullups. Image courtesy of Horseware. Rain pants! How have I never owned a pair of these before? When it comes to staying dry, why do we prioritize the top half of our body and leave the bottom half hanging?! HWH20 Pullups are perfect for slipping on over your breeches for rainy-day barn chores or a drizzly hack. An elastic strap slides over your boot to keep them from riding up, and the full-seat cut keeps you comfy and free to do your thing in the saddle. HWH20 Bag. Photo courtesy of Horseware. This! Bag! You guys! I used the HWH20 Bag as my Derby finish line bag so I’d have a stash of clean, dry clothes, some non-goat/mutton post-race victory snacks (read: chocolate bars and wine), and a few other essentials to get me through finish camp. But since then I’ve used it on camping trips and as a horse show bag — it’s basically a totally waterproof backpack, making it perfect for hauling out to the ring or the cross country finish no matter what the weather. Non-manufacturer-approved don’t-try-this-at-home-kids #protip: I’ve also used it as a portable beer cooler. Horseware has been keeping our horses warm and dry for years, and now we humans can get in on the action, too. Bonus that the HWH20 line is a great value, and even better — it’s all currently on sale! Check out the complete HWH20 line here. Go Horseware. Go Eventing!